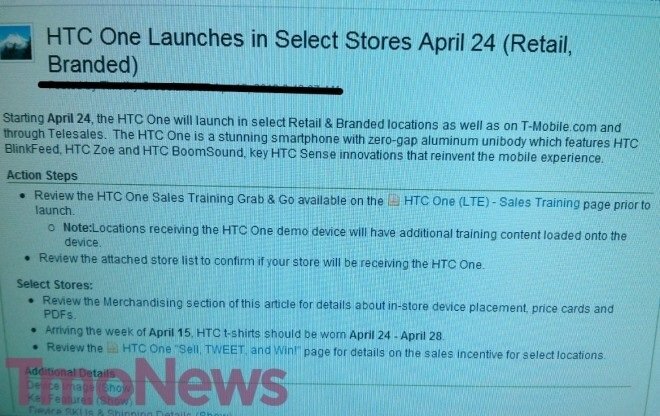 Have you been patiently waiting on the edge of your seat to find out when T-Mobile was going to add the HTC One to their line-up? Well scoot on back, because thanks to two leaked images this afternoon, we finally have an answer. 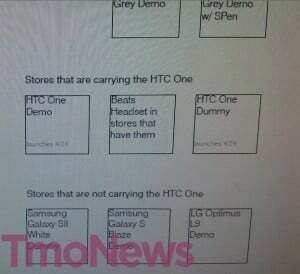 A T-Mobile retail store planogram, as well as well as an email screenshot seem to confirm that the HTC One will be available to customers in “select stores” on April 24th. 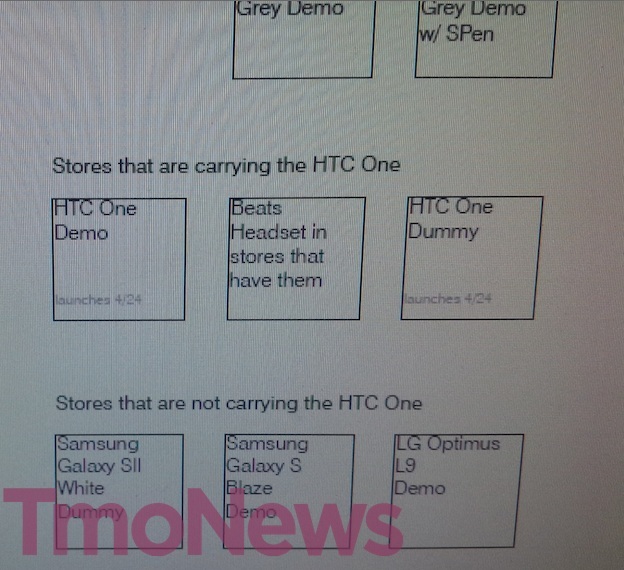 Sadly, this means some stores won’t be carrying the device, at least in the beginning. However, they will probably release the phone to all stores in a trickle-down manner just like they did with the Samsung Galaxy 3. To those who can get their hands on the device, the HTC One will be available for a $99 down payment with $20 monthly installment payments for 24 months. Finally, fans have a date (even if it is still hush-hush.) As always, we will make sure to update you as soon as T-Mobile makes it official.